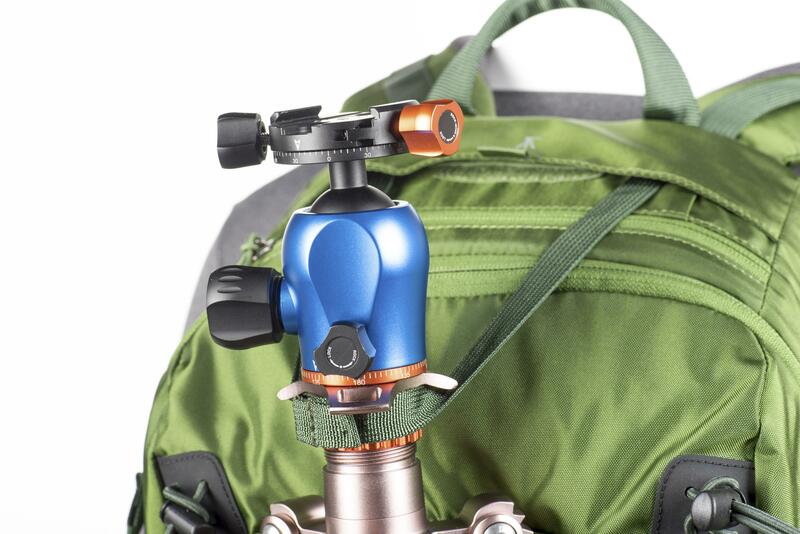 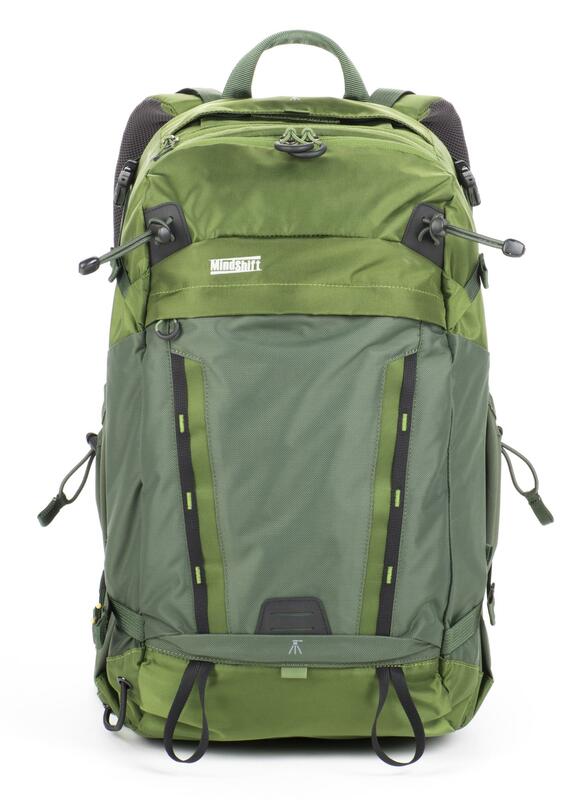 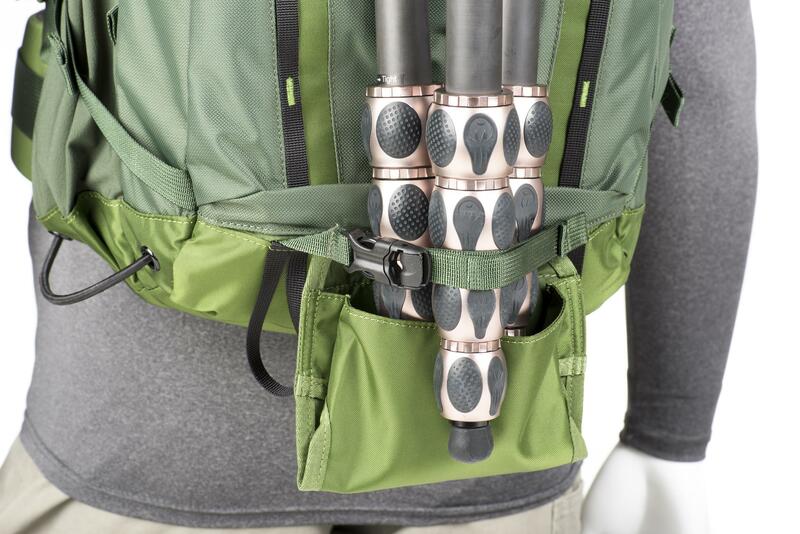 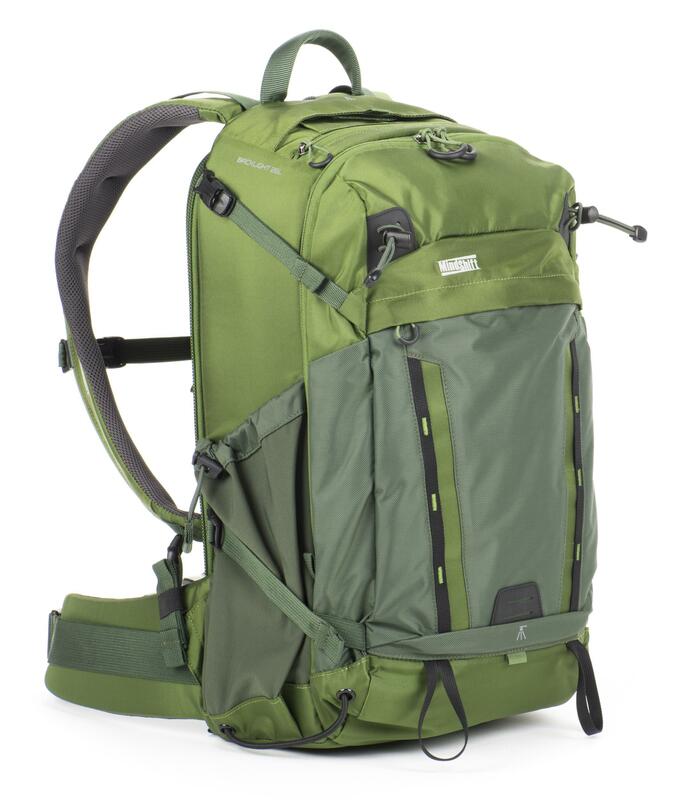 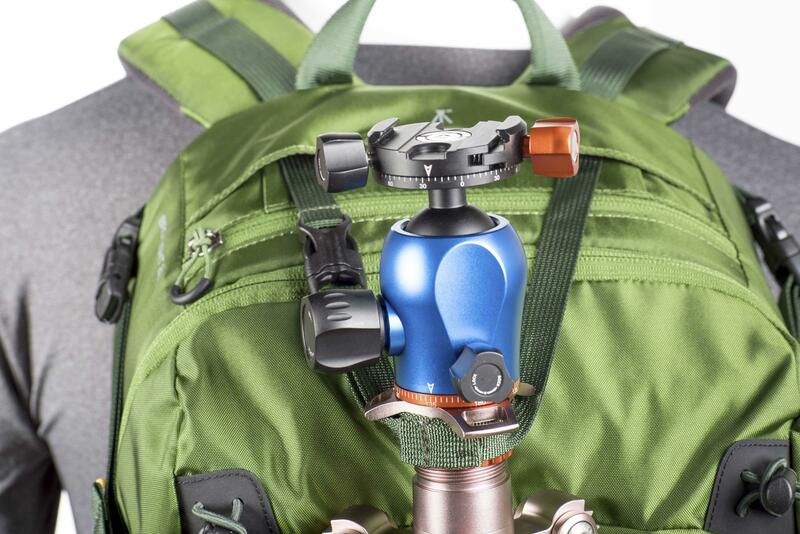 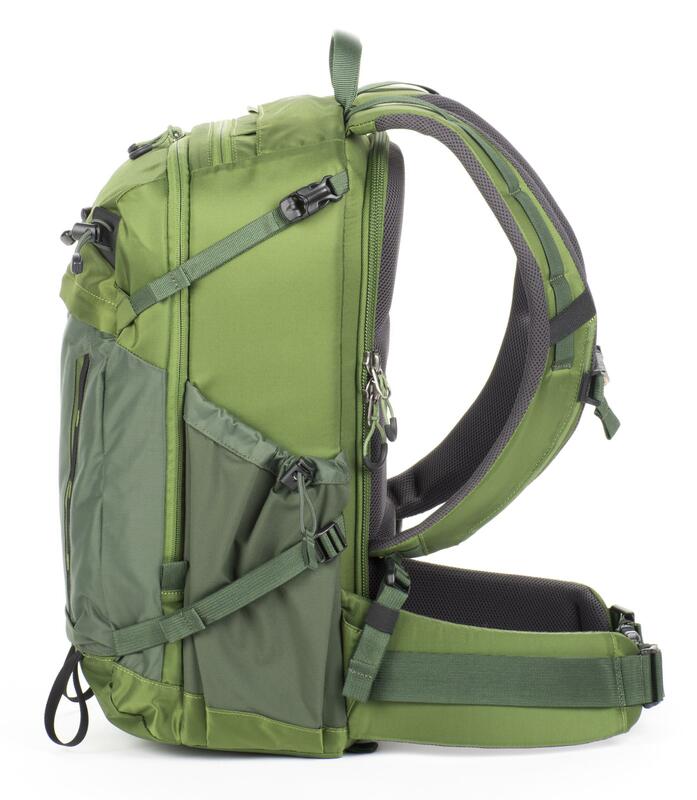 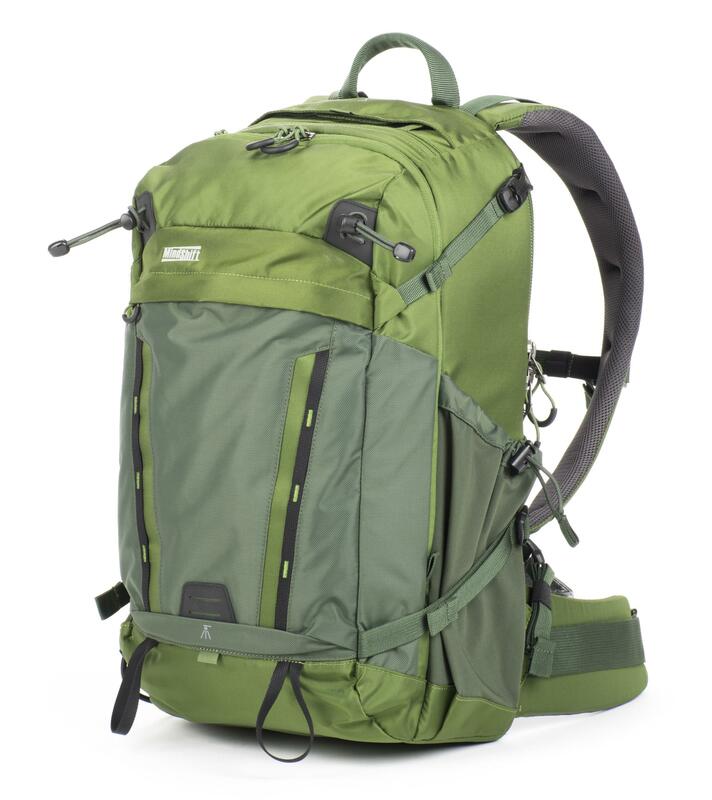 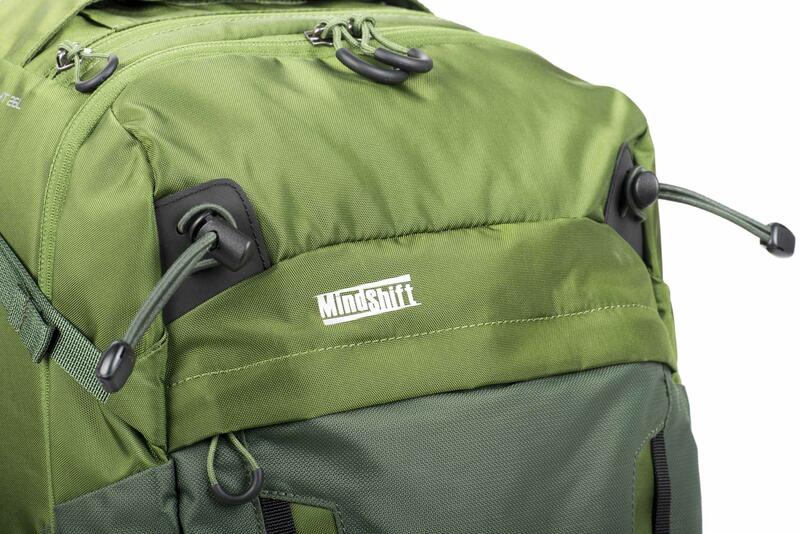 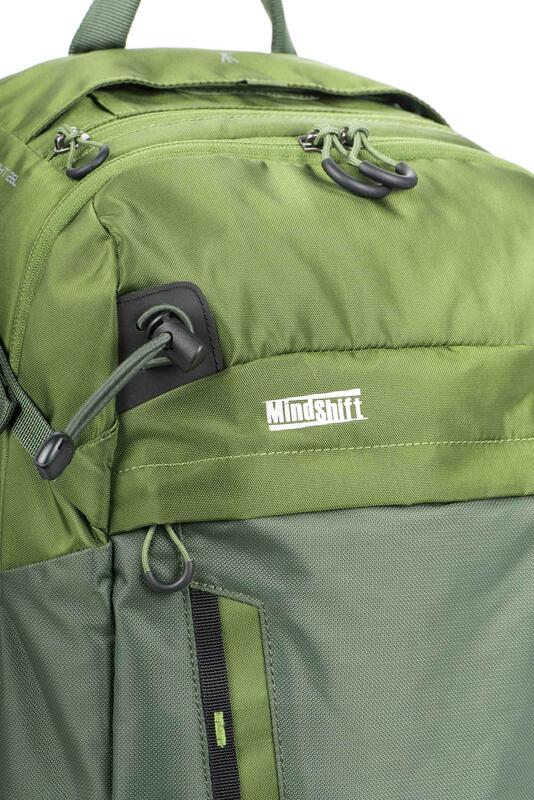 The BackLight 26L Photo Daypack (Woodland Green) has a rear-panel compartment enabling you to rapidly access your photo gear without taking off the backpack. 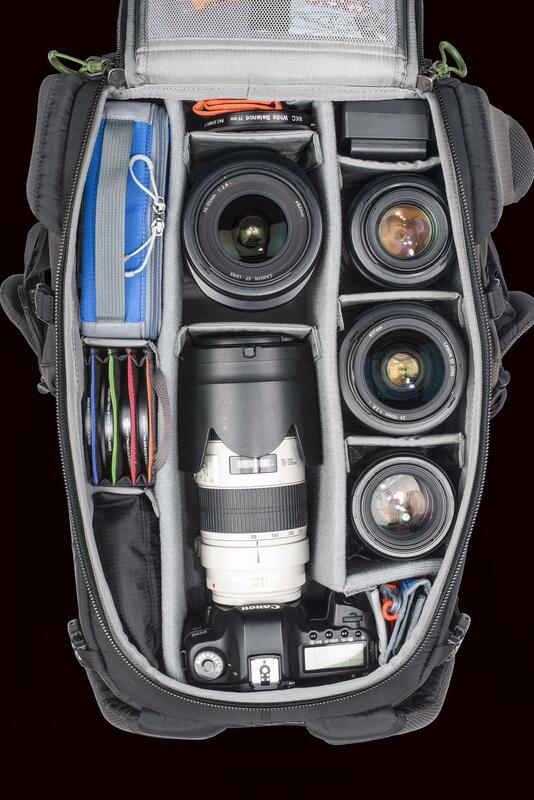 You can change lenses or just snap a quick photo by simply by spinning the bag to the front of your body while the waist belt is still secured. 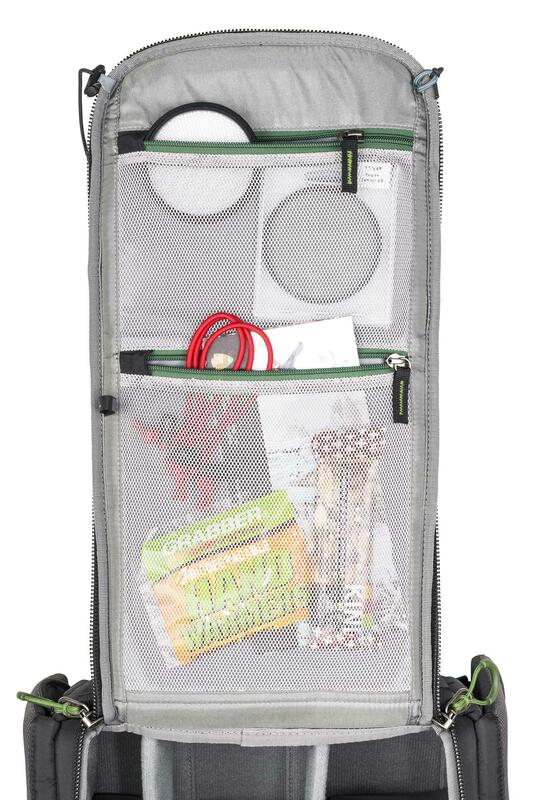 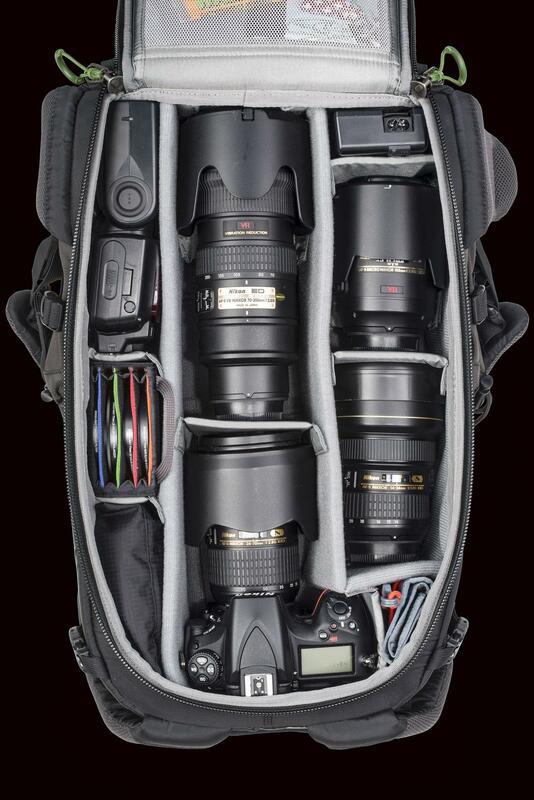 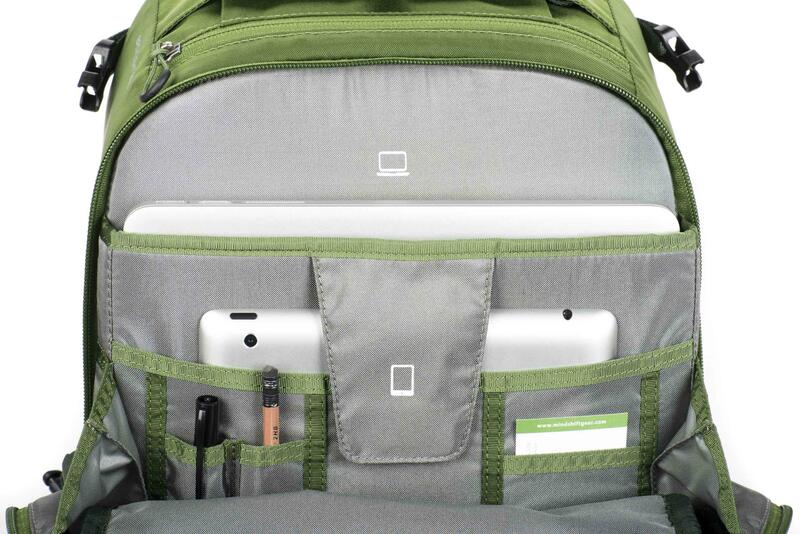 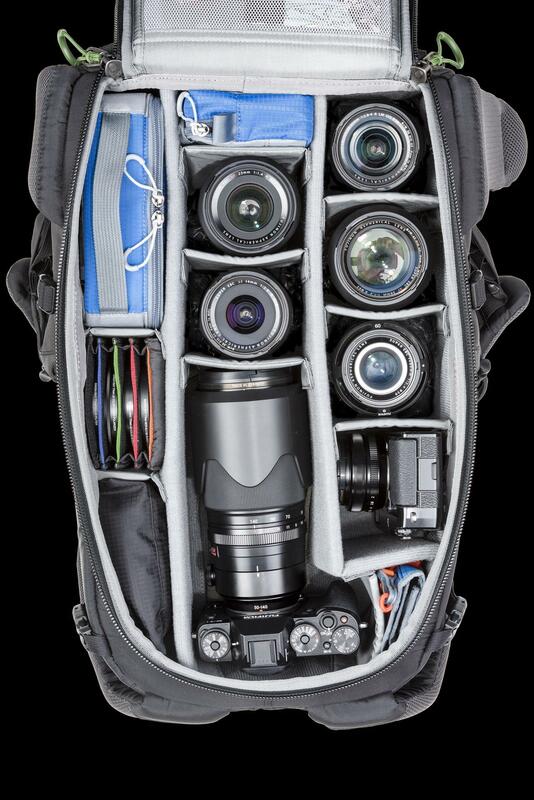 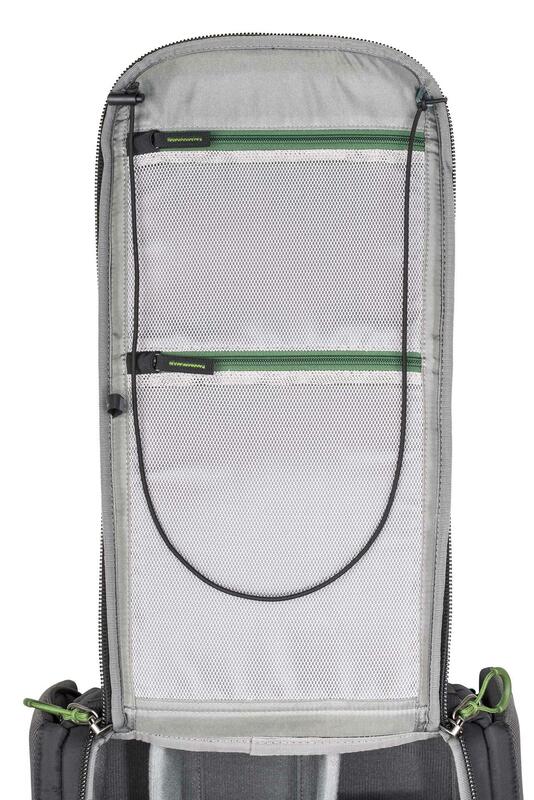 Rear-panel access also adds security when traveling since your camera gear is protected behind your back. 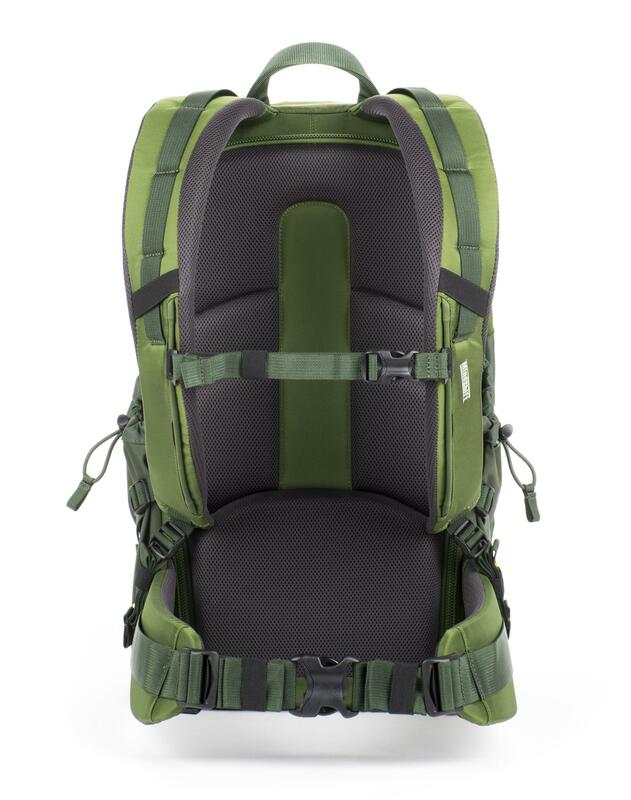 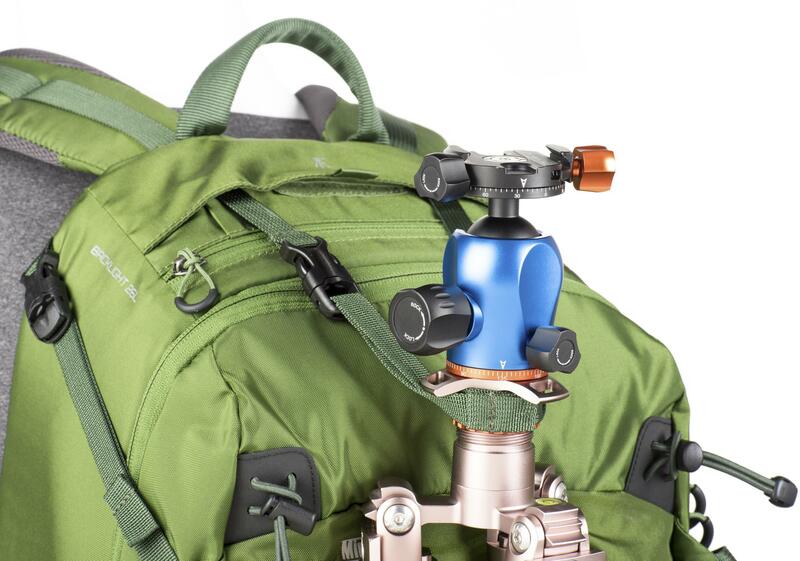 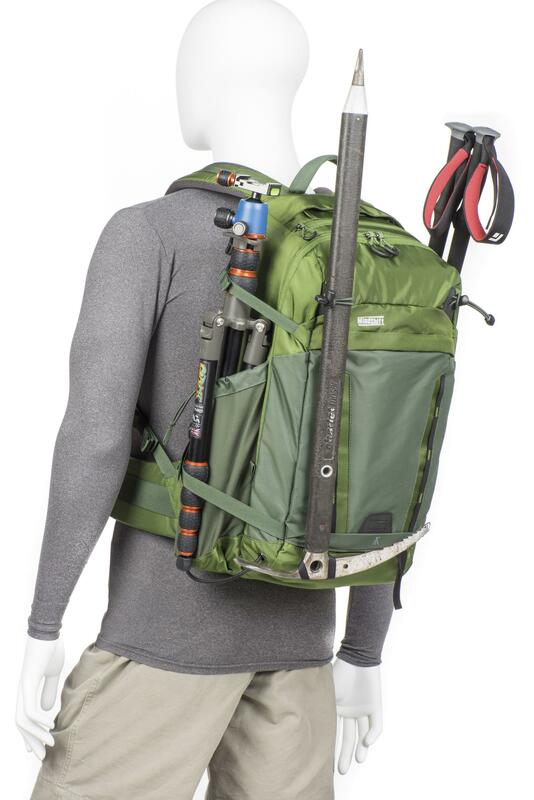 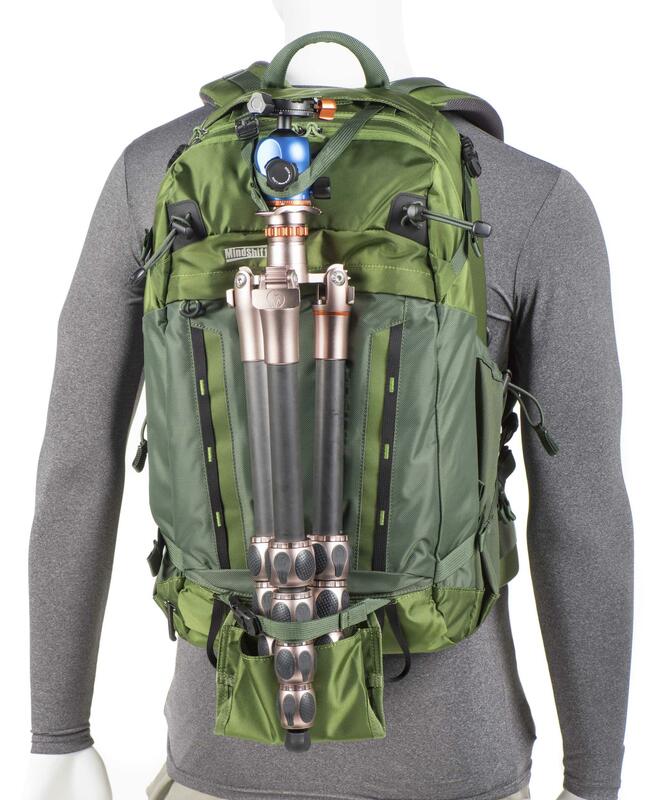 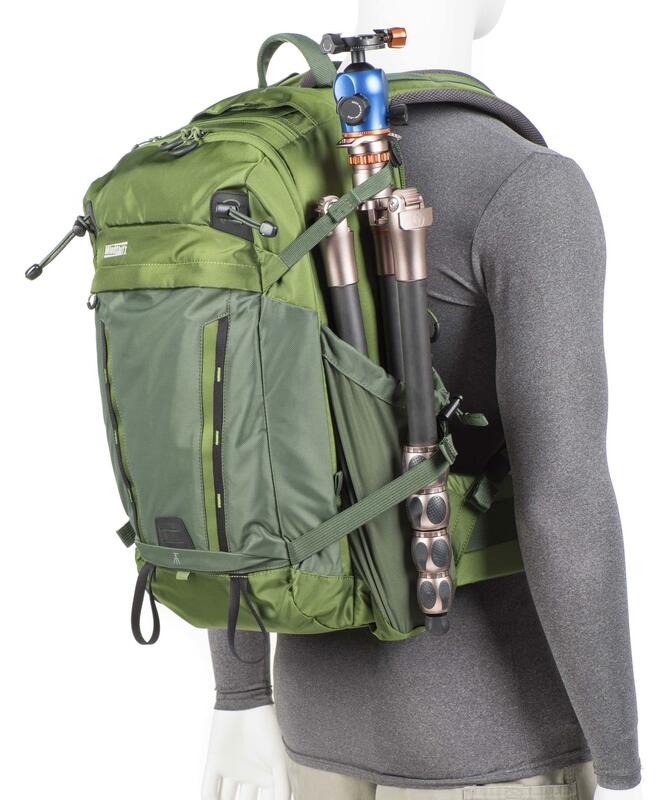 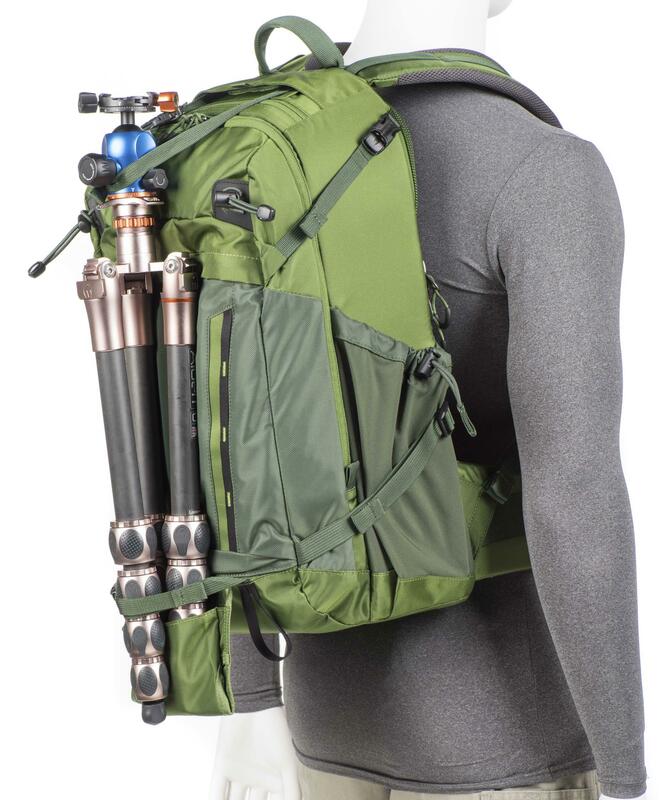 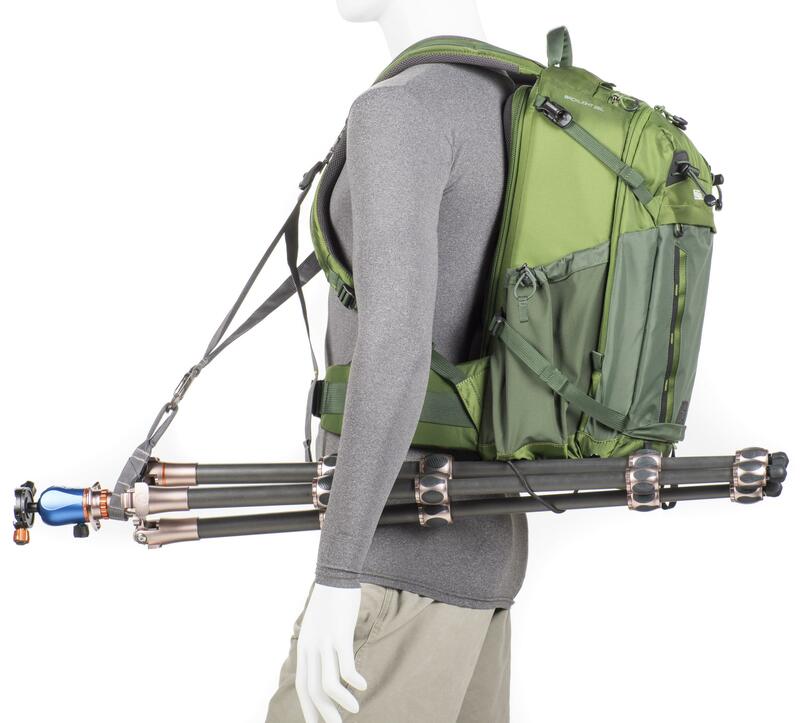 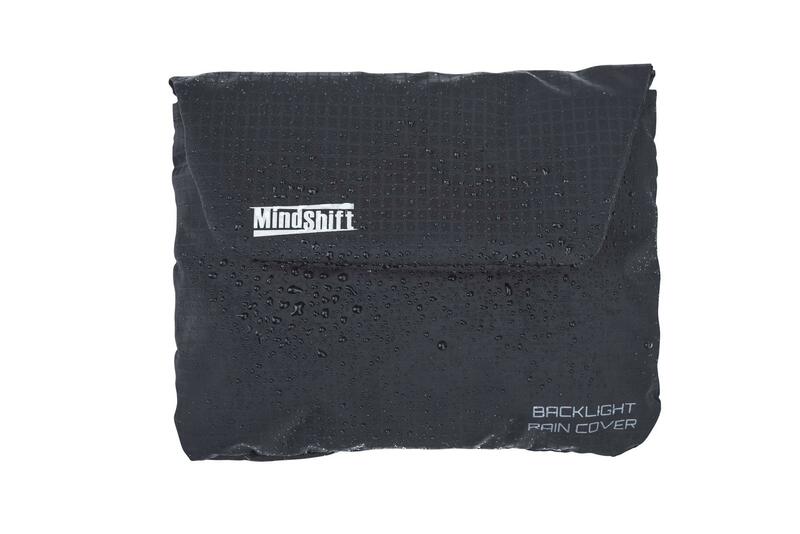 This backloading backpack is ideal for carrying heavy gear for long distances and rear access reduces the contact with wet and dirt on back panel and shoulder harness when opening on the ground. 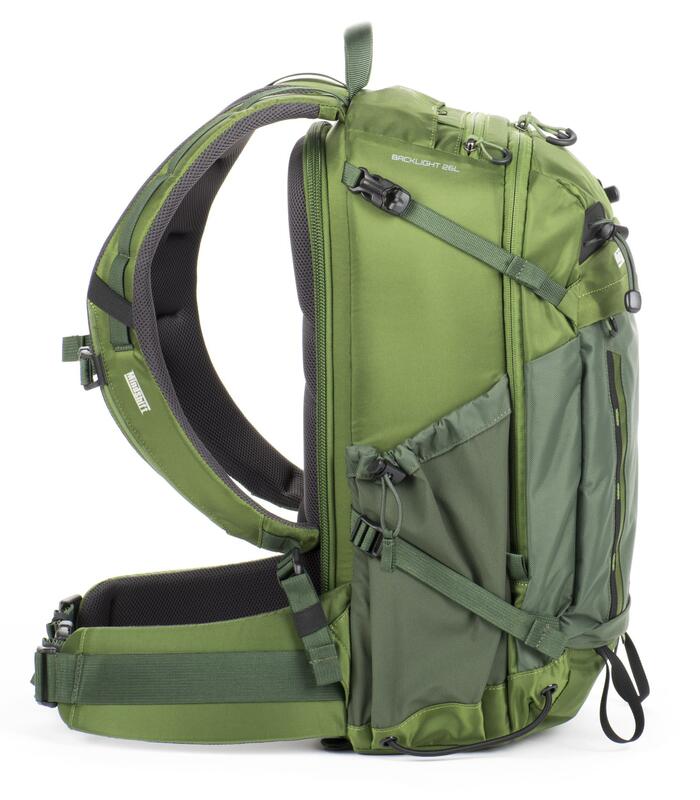 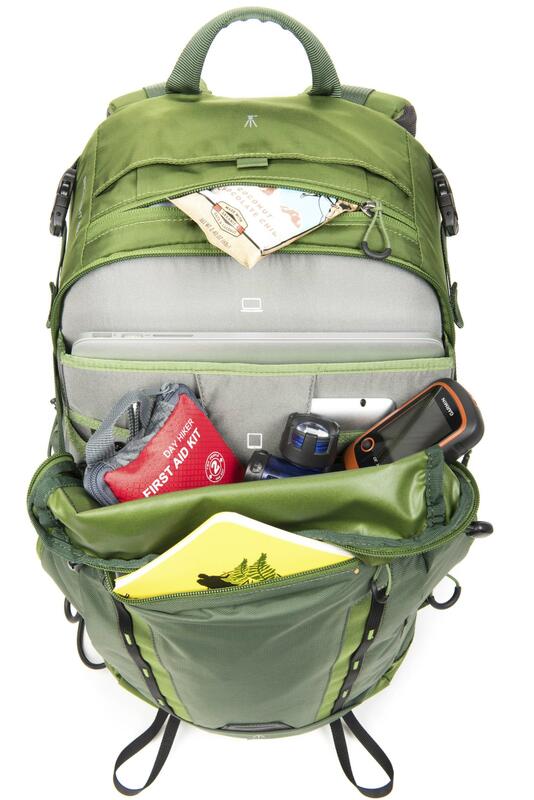 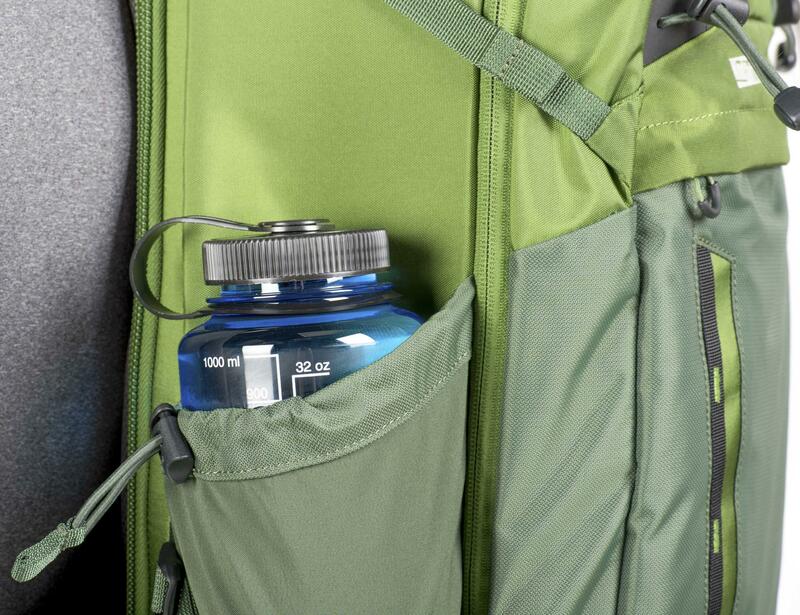 The BackLight 26L has 26 litres total carry capacity with 9 litres of daypack space for personal gear, including separate dedicated compartments for a 10" tablet and 15" laptop. 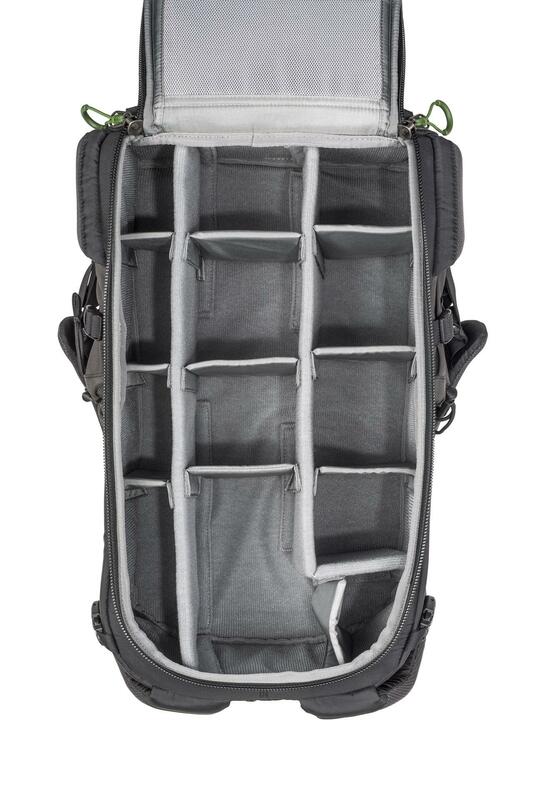 Daypack carry capacity in rront pockets totals 9 litres - for personal gear for a day’s outing: extra layers, a light jacket, food, etc.